The Bureau now offers a legal aid clinic on Wednesday mornings from 9am – midday, with Ellen Lane. 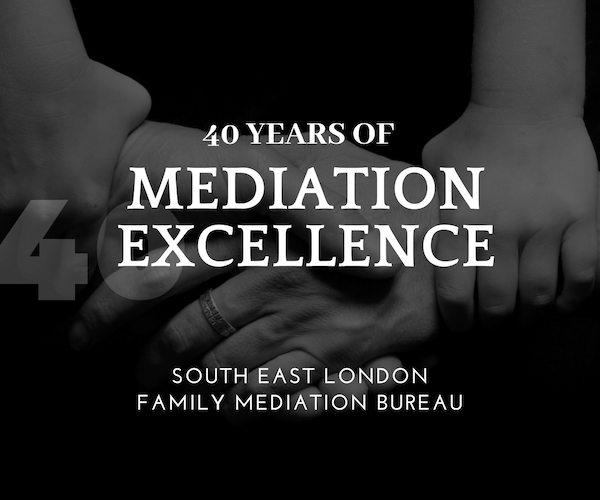 If you are on a low income, or receiving no income, and you think you may be eligible to receive legal aid for free family mediation, please contact one of our admin team on: 0208 315 7460. If you are on a low income, you may qualify for legally aided, or free mediation. Your income (or combined income, if you have a partner) should not be more than £2,657 a month, before tax. Then, at the bottom of the page, select ‘Check if you qualify financially’ to begin the assessment. In any event, a mediator will do the calculation for you, at your Mediation Information and Assessment Meeting (MIAM), provided you have made our team aware that you would like to be assessed for eligibility for legal aid funding, or free mediation, prior to booking your appointment. Please note, if only one person qualifies for Legal Aid that still means that the MIAM and first joint mediation meeting will be free for the other party too. This can be really helpful when money is tight. Letter from paying agency [i.e. the Department for Work & Pensions (DWP), Job Centre Plus or Pensions Service) confirming you are in receipt of the above benefits (copies of all pages of benefit award letters are required). If your letter is more than three months old, we will require a current bank statement confirming you were in receipt of benefits for the four weeks leading up to your meeting. Your signing-on card is not sufficient. Annual Award for Child Tax Credits, Child Benefit. Letter from paying agency confirming benefits i.e. contribution based Jobseeker’s Allowance or Employment & Support Allowance (copies of all pages of benefit awards letters are required). Proof (a bank statement and mortgage account statement) of any mortgage or bill payments made on your behalf to either yourself or directly to the billing company by your ex-partner (this is counted as your income). Proof of any maintenance payments. Proof of any other income you may receive from a third party i.e. parents, friends. Proof of any child care costs. Proof of any new partner’s income, i.e. wage slips, Tax Credits, Child Benefit, Maintenance etc. If you are living with parents/friends, written confirmation of your residence and of any rent/keep being paid by you. In the absence of formal payments made, the value of the benefit in kind will be assessed. Proof of any investment income. Proof of any money received to pay school fees (including by a third party i.e. grandparents). Bank statements covering the 28 day period prior to your appointment. Wage slips for the four week period leading up to your meeting (i.e. four weekly or one monthly pay slips). Annual Award for any Child/Working Tax Credits & Child Benefit (copies of all pages of benefit awards letters are required). . Proof of any pension payments. Proof (a bank statement and mortgage account statement) of any mortgage or bill payments made to either yourself or a third party by your ex-partner (this is counted as your income). Proof of child care costs. If living with parents/friends, written confirmation of your residence and of any rent/keep being paid by you. In the absence of formal payments made, the value of the benefit in kind will be assessed. Proof of any rental income from other properties you may have an interest in. You should bring proof of your drawings (i.e. money you have used for personal and family use) for the four week period prior to your appointment, together with you last end of year tax assessment and accounts. This may involve more than one bank account statement. If you are using savings to supplement your income, copies of the bank accounts from which you are drawing are required. We will need to see proof of how you are living, i.e. if you are receiving help from family or friends, we will need a signed letter from them stating any monies given to you or proof of any savings you are using for your day to day living expenses. If you are living with parents/friends and paying rent/keep, we will require written confirmation from them of the amounts paid. If you are using savings, copies of the bank accounts from which you are drawing are required. Proof of your income from all pensions, including State Pension. Proof of any other income, i.e. investment dividends. Proof of any rental income from any properties you may have an interest in. Proof of any maintenance received.